ENTIRE ORDER SHIPS FREE WITH PURCHASE: Hogue SIG Sauer P226 DA/SA Magrip Piranha Grip G10 - G-Mascus 23739 Black. 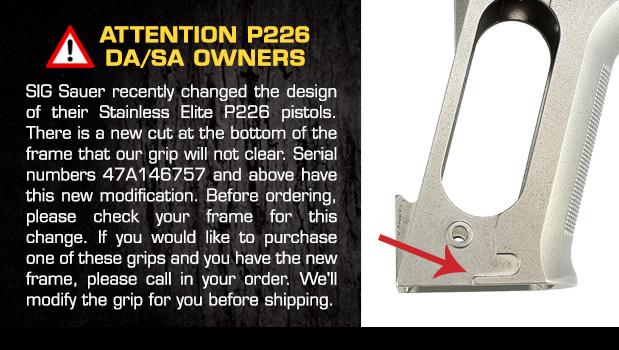 Hogue grips will fit 226 E2. Remove the E2 grips to expose the screw holes. You must purchase grips screws in addition to the new grips.